Use the closet known settings to the material you are trying to cut. Verify that the lens and/or window are clean and in good condition. Verify that the nozzle is in good condition and is centered properly. Create a test part that has interior and exterior features. Adjust the focus either up or down until the best possible edge quality is visually achieved. Adjust the gas pressure up or down until the best possible edge quality is visually achieved. Begin by setting feed rate 10% below the recommended setting. Adjust the feed rate up in increments of 5% with each improving test part. When the cut begins to visually degrade, set the feed rate back to the previous setting achieving optimum edge quality. For more additional information, contact your local Sales Engineer. 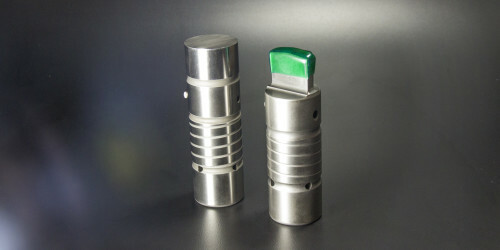 Cindy Hallas is the Laser Product Specialist at Mate Precision Tooling.